Background/Purpose: There is increasing recognition of a gout epidemic, exacerbated by an unhealthy diet and a sedentary lifestyle. Indeed, our recent study among men confirmed that the Western dietary pattern was associated with an increased risk of gout (Rai et al. BMJ 2017). In contrast, the Dietary Approaches to Stop Hypertension (DASH) diet was associated with a lower risk of gout (Rai et al. BMJ 2017). The extrapolation of these findings to women should be done with caution given the substantial difference in uric acid metabolism, gout incidence, and role of estrogen on serum uric acid levels. We aimed to examine the DASH, Mediterranean, and Western diets in relation to gout risk among women. Methods: We evaluated the risk of incident gout in ~70,000 woman who reported a physician diagnosis of gout from 1984-2012. Using dietary intake information obtained from validated Food Frequency Questionnaires, we used a previously derived DASH diet score, emphasizing fruits, vegetables, nuts and legumes, whole grains, low-fat dairy foods, and reduced intake of saturated and total fat and sugar-sweetened beverages (SSBs). We also used a previously derived Mediterranean diet score, based on high intake of monounsaturated fat, plant proteins, whole grains, and fish, moderate intake of alcohol, and low consumption of red meat, refined grains, and sweets. Finally, we used a previously derived Western diet score, characterized by higher intakes of red and processed meats, SSBs, desserts, French fries, and refined grains. We assigned a diet score for each participant and prospectively examined the association between the diets and incident gout risk, adjusting for age, menopausal status, total energy intake, body mass index, diuretic use, hormone therapy use, hypertension, and alcohol and coffee intakes. Results: During 28 years of follow-up, we documented 3,076 cases of incident gout. The DASH diet score was associated with a lower risk for gout (relative risk [RR] for extreme quintiles, 0.68 [CI, 0.60 to 0.76]; P<0.001 for trend). Similarly, the Mediterranean dietary pattern score was associated with a modestly lower risk for gout (RR for extreme quintiles, 0.86 [CI, 0.77 to 0.96]; P=0.05 for trend). In contrast, the Western diet score was associated with an increased risk for gout (RR, 1.56 [CI, 1.37 to 1.79]; P<0.001). Conclusion: The DASH and Mediterranean diets are associated with a lower risk of incident gout in women, although the DASH diet shows an even greater protective benefit; conversely, the Western dietary pattern is associated with an increased risk of gout. These findings confirm the associations observed in the recent study among men and provide the first such prospective evidence among women. The DASH diet appears to offer an attractive dietary approach for gout, as it also reduces blood pressure among patients with hypertension, present in 81% of female gout patients (Zhu et al. Am J Med 2012). Disclosure: S. Keller, None; S. K. Rai, None; L. Lu, None; Y. Zhang, None; H. K. Choi, Selecta, Horizon, 5,AstraZeneca, 2. Keller S, Rai SK, Lu L, Zhang Y, Choi HK. The Dietary Approaches to Stop Hypertension (DASH) and Mediterranean Diets and Risk of Gout in Women: 28-Year Follow-up of a Prospective Cohort [abstract]. Arthritis Rheumatol. 2017; 69 (suppl 10). 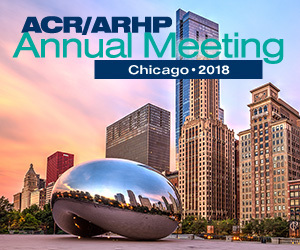 https://acrabstracts.org/abstract/the-dietary-approaches-to-stop-hypertension-dash-and-mediterranean-diets-and-risk-of-gout-in-women-28-year-follow-up-of-a-prospective-cohort/. Accessed April 20, 2019.